Let's be honest with ourselves: in its current app-driven iterations, VoIP is nothing more than a value added novelty. Sure, we Skype with grandma and Lync with our coworkers, but the extent of VoIP penetration into our daily lives starts and stops in bite sized chunks. As much as every me-too VoIP provider would love for us to conduct our lives according to the functionality of their limited purpose apps, the average person usually doesn't have the same feelings about VoIP as IT pros do. Don't get me wrong in any way. I absolutely love what VoIP has enabled my business and clients to do. We're leveraging Lync on a daily basis with our staff in the field and main office. My clients are using a variety of VoIP endpoints like RingCentral or 8x8 desk phones, soft phone apps, Skype -- even GoToMeeting can be considered VoIP for the voice and video capabilities it provides. The big thorn in VoIP's side, as it currently exists, is that it cannot provide a streamlined, ubiquitous experience in our lives without being tied into PSTN. In non geek-speak, PSTN stands for Public Switched Telephone Network. You know, that system that lets you call anyone and his uncle on a regular plain-jane telephone? Herein lies the discrepancy with most VoIP applications: they don't have easy access into the public telephone backbone without jumping through hoops. Supposedly "easy" hybrids like Skype require you to mess with purchased SkypeOut minutes and have a SkypeIn number. And even Skype doesn't make it simple for someone to transition to the service prime time, because it rather suspiciously doesn't allow you to port your number to the service for usage. So even if you wanted to live a life inside the VoIP nirvana that is Skype, you'd have to have some legacy provider forwarding your calls to you. A big itch in the rear end, if you ask me. VoIP is a disconnected entity every direction you look. You can make as many free calls as you want, in general, as long as they don't touch the telephone network. Or in contrast, you can have your VoIP cake in the form of a cloud hosted VoIP PBX phone system like RingCentral -- but you can't eat it too, since these services don't extend that experience back into your email platform like Google Apps or Office 365. And so we bundle solution on top of solution, hoping for a workable best of breed experience. Keyword is hoping, of course. In the end, productivity suffers and people grow wary of the technology that was meant to solve just the opposite. I feel this way many times during a normal day as I have to juggle between conversations and meetings on Lync Online, and then move my telephone calling needs over to our RingCentral desk phones or my Lumia cell phone. None of them talk naturally to one another in the way you would want. I can do a video call if I stick to Lync. I can call another telephone off my RingCentral service. But the golden dream of these working cohesively with one another? That's the question no one has solved yet. When I visit Microsoft's local offices here and see how easily their workers can seamlessly transition conversions between Lync mobile to desktop to a desk phone in simple clicks, it begs the question: why the heck can't I leverage that same capability as a small business owner? Why do I have to be a 1000+ seat organization with an Enterprise Agreement, a full time IT staff, and dedicated Lync servers to enjoy such neat technology? That's how it feels right now with what Lync Online users are being given, compared to what on-premise Lync Server users can access. If you want full PSTN connectivity in order to work like a "normal" person that can make phone calls with your Lync system, go deploy it yourself. It boggles my mind, to be honest, because the telephone side of the spectrum is handled quite well by cloud providers like RingCentral, Vonage, and 8x8 to name a few at relatively low cost. If they can do it already, what is Microsoft's hangup? And I'm not alone in my VoIP conundrum. I just had the same discussion with two different potential customers in the last five days as to why they won't be able to use Lync for all their phone needs, as much as they want to. It seems that the Microsoft marketing department is being quite deceptive with buyers and not putting in the big asterisk * in advertising where necessary. ** BIG FRIGGIN' NOTE TO ALL: IF YOU WANT TO MAKE NORMAL PHONE CALLS WITH LYNC AS SHOWN ALL OVER THE OFFICE 365 WEBSITES, YOU CAN'T DO SO UNLESS YOU HAVE THE IT BUDGET OF A FORTUNE 500. I'm not one that's going to recommend the hosted Lync approach, either. I've dealt with most of the providers out there offering that type of service when I wanted to connect my small business desk phones, and all of them took me for a ride and a half. Whether it be no response, hinting that I'm too small fry of a customer for them to consider, or a meandering trial that made no sense, I don't want any part of it. Not to mention, the pricing was not competitive to what RingCentral is offering us now by a long shot. It looks as though Microsoft's Unified Communications folks have gotten a wafting of the sentiment among the forgotten SMB crowd that I support. We're tired of playing second class citizens in the user base of an otherwise excellent product like Lync Online. I'm thrilled that I was able to ditch GoToMeeting. I'm happy as a lark that I don't have to use Skype to interact with clients or colleagues who happen to be on Skype. And the integrations with Exchange Online (Office 365's email offering) are top notch in terms of how conversation history is saved and how easy it is to schedule Lync meetings from Outlook or OWA. But the quiet riot brewing in the SMB netherworld of VoIP converts is the growing chorus of voices that finally want to tie into the telephone network that the rest of the world uses. Yes, I think that taking a cell phone conversation, transferring it to my desk phone seamlessly, and receiving all of my voicemails transcribed and attached as MP3s in my Exchange Online inbox is functionality that shouldn't be reserved for the big boys only. I have no qualms with RingCentral. It has served us well for some time now. But the functional disparity and separation between internet-only VoIP and regular PSTN calling is starting to grow on me, and as someone who has a certain affinity for ecosystem fluidity, separating my needs solely because I may have a phone number to reach is rather silly this day in age. Brian Riggs of Ovum recently penned a stellar piece outlining the plan that Microsoft has on delivering what users like myself have been waiting for dearly. The bulk of this news was originally delivered at this year's 2014 Lync Conference during the keynote address, but fuller details have been letting loose since. At first, traditional PSTN providers like ATT will be given the right to dole out voice calling capability and phone numbers with Lync Online sold directly through them. People who have bought Lync Online through Microsoft directly, like my company and nearly all of my clients, are going to be excluded from this initial rollout phase. Next, Microsoft will allow these providers to provide PSTN to Lync Online ordered from Microsoft-facing clients or other resellers. Lastly, and the most important phase in my eyes, is where customers will be able to purchase PSTN dialing functionality as a part of their Office 365 plans ideally. It will be a service add-on or inclusion at different plan levels presumably, just like how Lync or SharePoint options are offered at different price points. While it's nice to know that Microsoft is finally moving in the right direction with what I believe Lync Online should have had since day one, it will be interesting to see how these legacy providers play with the various purchase configurations that exist for Lync Online. 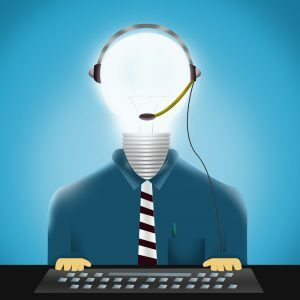 Will the average small business owner, without the help of an IT consultant, be able to wrap their mind around what kind of plan they may have with Office 365 and what path they can take with PSTN? Will Microsoft finally cake in the same features that Lync Server on-premise provides for PBX capabilities to users of Lync Online that may tie in their desk phones? Will desk phones even be part of this much-hyped integration? Or is Microsoft only going to provide PSTN for the Lync soft clients -- forgoing any potential future where we can ditch third party services like RingCentral or onsite VoIP servers? Lots of questions still exist. But if Microsoft can hold true to its promise of bringing Lync Server PBX capabilities over to Lync Online, then perhaps it will be the first time that truly integrated VoIP will be accessible by the working masses. VoIP, that for all accounts, will finally not require us to question whether we are trying to reach a phone number or a Lync user to make our call? My fingers are crossed that Microsoft doesn't botch this attempt at PSTN functionality like it did with the ill-fated Lync Online Hybrid Voice that was so short lived. I believe in second chances, but that's about the extent of patience that users will have with Redmond on this unified communications path in the cloud. And even beyond the Office 365 and Lync realm, such headway in the VoIP-PSTN arena will no doubt unlock other segways for users. I can already see Microsoft potentially tying in similar capabilities into Skype, making Skype and Lync one big VoIP/PSTN happy family. Perhaps businesses will be able to cut the cord with pricey standalone VoIP PBX servers, and the VARs that charge oh so nicely for their consulting time to go along. Imagine a future, not so distant, that treats phone numbers in as equal a manner as email addresses are today. A future that doesn't have phone numbers bound by the legacy PSTN agreements that only the largest providers can control and dole out. 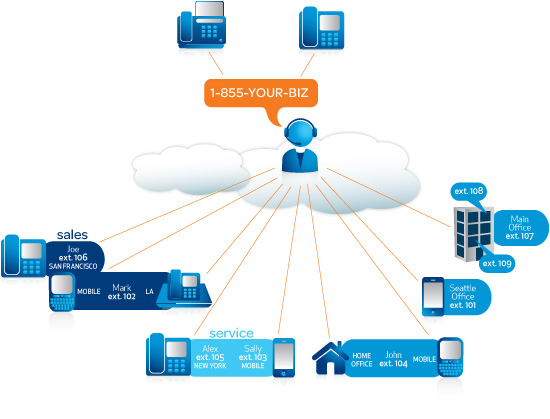 Microsoft introducing PSTN into Lync Online will begin chipping away at this old school mentality. And hopefully other platforms will start taking notice that users like myself are sick and tired of the VoIP-PSTN disparity paradigm. Voice is voice is voice -- isn't that the way it should be?